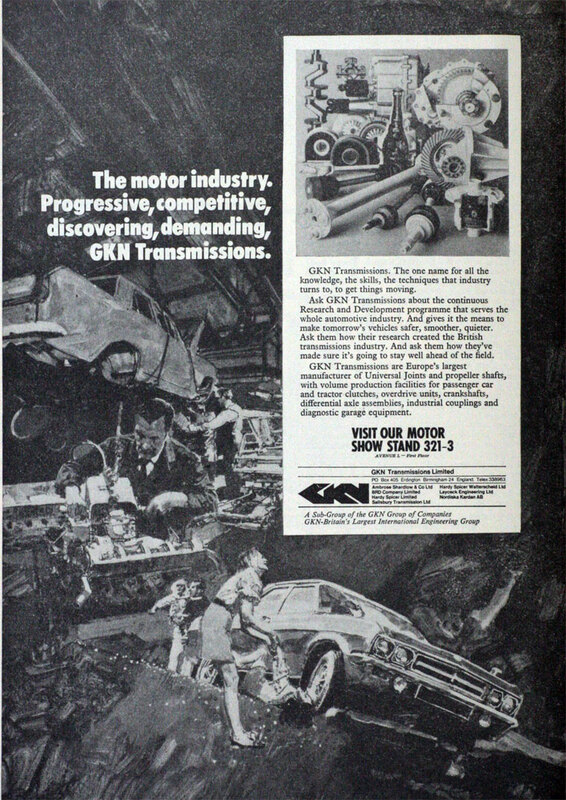 1967 GKN acquired Birfield Industries including its subsidiary Hardy Spicer and Co of Birmingham, which became GKN Birfield Transmissions, part of GKN Transmissions. Hardy Spicer made constant-velocity joints which, historically, had few applications, even following the improved design proposed by Alfred H. Rzeppa in 1936. In 1959, Alec Issigonis had developed the revolutionary Mini motor car which relied on such joints for its novel front wheel drive technology. The massive expansion in the exploitation of front wheel drive in the 1970s and 1980s led to the acquisition of other similar businesses, such as Vandervell Products, leading to a 43% share of the world market by 2002. This page was last edited on 16 January 2019, at 10:57.